With cash rates at all-time lows there is no doubt that ‘yield’, or, ‘income’ is one of the attributes most sought after by investors these days. We often speak to investors looking for reliable income streams, however in these conversations there is often no discussion or genuine consideration of the underlying risks. In this edition of Investor Insights, we take a look at familiar asset classes, their rewards and their risks. But what of the return? You’ll do well to find a twelve month term deposit in the market today with a return as high as 3%pa - in fact the current average TD rate for a 12 month investment is 2.45%. 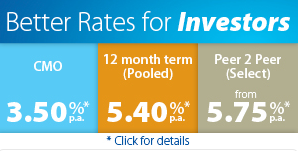 With a current inflation rate of 1.5%pa, the current average real yield on these investments stands at 0.95%. So practically standing still. Many portfolios utilise bonds as part of their fixed interest allocation. As a debt instrument, bonds are considered more stable than equities and traditionally have had lower but more stable returns. But what is in the future for bonds? While the current low rate environment has seen the value of bonds bound upwards and they seem a sound investment, analysts the world over are concerned about the values of bonds in the event that interest rates begin to rise. There is no consensus as to what will happen when the US Fed begins increasing interest rates which may be sooner rather than later. Hybrid notes (Hybrids) have been around for a comparatively short period of time and were created to deliver higher returns (like shares) with lower risk (like bonds/fixed interest investments). Hybrids are typically priced between term deposits and equities and have been issued by many of our larger financial institutions. For investors trying to weigh up the risks involved in such an investment, the difficulty lies in understanding what you are investing in, and what happens surrounding the various trigger events. Investors need to come to terms with the hybrid offer document which can run into hundreds of pages and is typically a highly technical document. Further, each individual hybrid issue is different, making the underlying risk characteristics different and indeed subsequent issuances by the same institution are typically subject to different terms and conditions also. The old axiom, ‘Keep it simple’ rings true, or as Warren Buffet once put it, “Investment is not like Olympic diving – you do not get bonus points for the degree of difficulty”. Investment in equities is a well-worn path for many investors and can be undertaken via direct investment, or investment via an index fund. Direct investment links your outcome directly to the performance of those companies in which you have invested. Without careful consideration, you run the risks associated with a lack of diversification. If they perform, then fine. 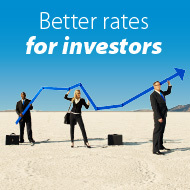 If not, investors are exposed to a host of risks including income risk and capital risk. Many investors have used direct equities for income in recent years and with the benefits of franking credits this can be a successful strategy. In contrast to fixed income, equities often provide a higher return combined with capital growth. The reverse can also be true of course, with equities also exhibiting more volatility than fixed interest and therefore exposing investors to greater risks. Consider investments made into an index fund linked to the All Ordinaries in 2007 or 2008 – these are still behind in real terms. While investing since 2009 has seen growth and yield, a characteristic of the recent market movements include a natural baulk at hitting 6,000. In fact the market has only been higher than 6,000 for short periods in history, and these periods have been characterised by immediate volatility. As the All Ordinaries has been flirting with the 6,000 level for the most part of 2015, consider the risks for index investors here. Investing for income continues to be a widely discussed topic and in this low-yielding environment, investors need to be aware of the risks associated with ‘chasing yield’. Importantly and as ever, investors need to consider whether their mix of investments within their portfolios are consistent with their individual needs, objectives and risk profile. With the hunt for yield set to continue, investors are looking beyond traditional solutions of cash, bonds and equities. 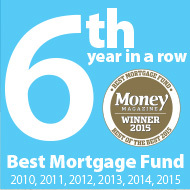 At La Trobe Financial we target the generation of income through a mortgage backed investment. Our product options each have individual characteristics to suit varying risk appetites. Our ‘peer to peer’ investment options allow investors to choose individual loans from our Investment Shopping List that suit their own needs and objectives. Our Cash & Mortgages Option provides competitive variable rates of return, monthly interest payments and access to your funds on 2 business days' notice. Our Pooled Mortgages Option offers a truly national, diversified portfolio of income-generating loans. 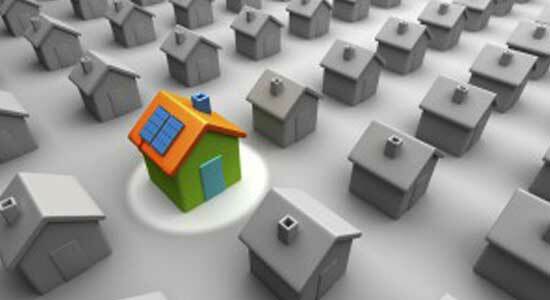 Since inception in 2002, it has produced a powerful income return for its investors. Its capital stability (zero investor capital losses) and liquidity profile (full capital return on investment maturity) has been coupled with monthly income returns that have been strong both in absolute terms and relative to peers.